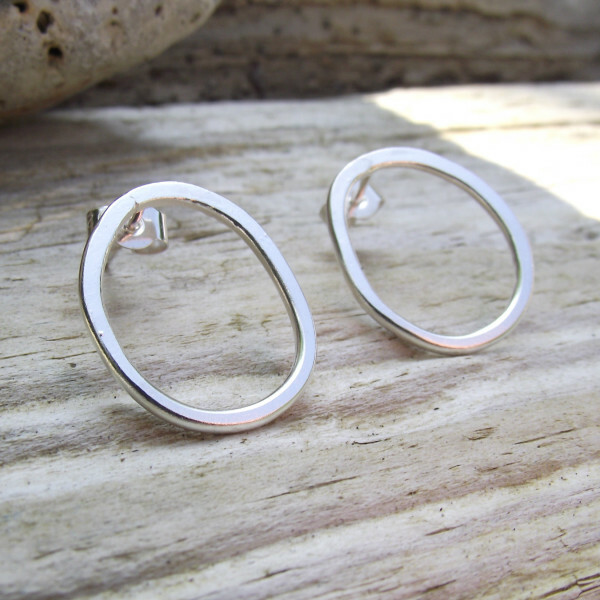 Product code: 00011 Categories: The Beach, Earrings. The circles stud earrings are hand made from recycled silver and are available in two sizes, small which have a circumference of approximately 4 cm (1.25 cm diameter) and large which have a circumference of approximately 6 cm (2 cm diameter) They are on a sterling silver stud back, with sterling silver butterflies. 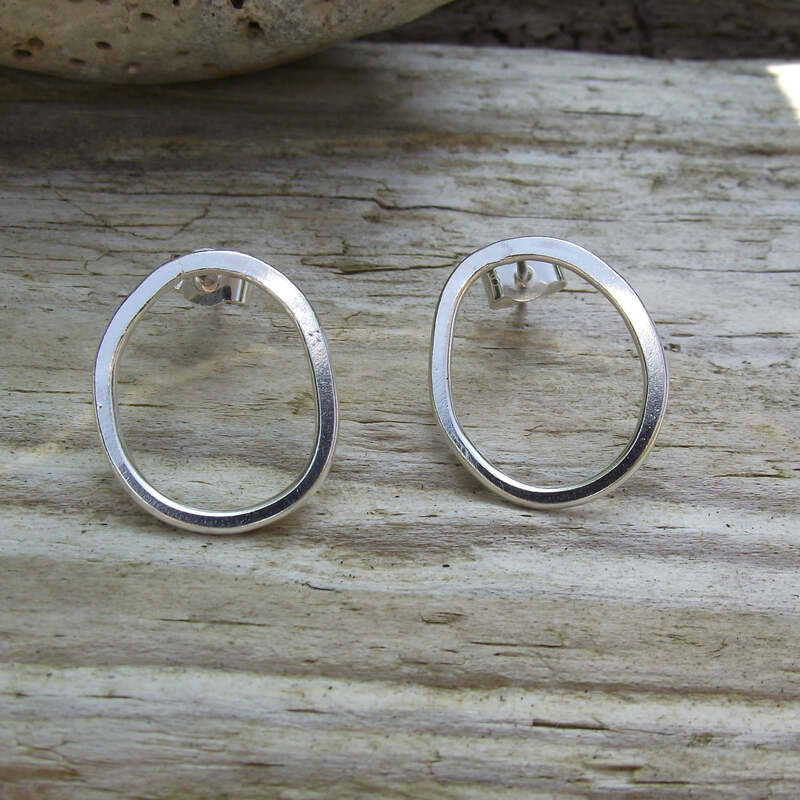 They were inspired by the rings of quartz found in many beach pebbles. 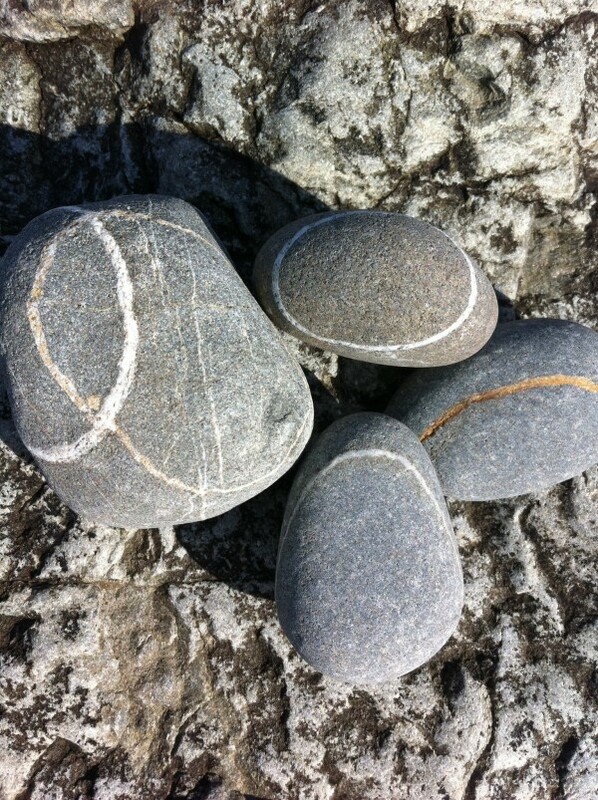 Like the circles of quartz, they’re not perfectly round or perfectly smooth. They’re made to order and each pair will be unique due to the hammering process used. There are a range of necklaces inspired by the same pebbles. As these earrings are made to order please allow up to three weeks for delivery. Your earrings will be delivered in a recycled box.